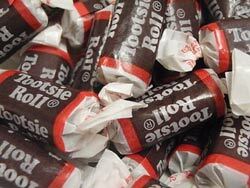 When you think about government contracts you probably don’t think about Tootsie Rolls. Think again. When it comes to Halloween I think everyone is a kid at heart. 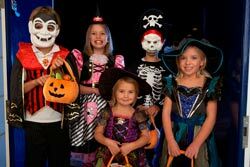 While you may not dress up anymore, if you’re like me, every time you see the kids in costume it takes you back to the Octobers of your youth. You would start off the month deciding what you wanted to be. 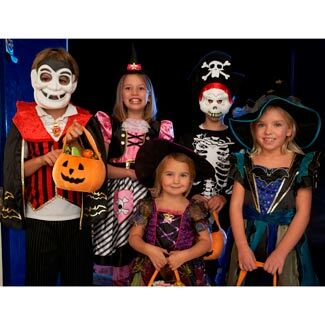 As you eagerly counted down the days with anticipation you would meet with your friends to define your trick or treat strategy – maximizing the amount of ground you could cover to get the biggest haul. 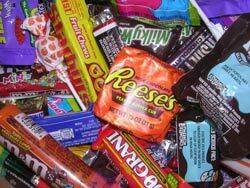 At the end of the night you would meet back up with your friends and the great candy trade would begin. Chocolates like Nestle crunch, Hersheys’ mini-bars, and Kit Kats were always coveted. Raisins, apples, and pennies were the things you couldn’t unload without some intense negotiations. Individually wrapped Tootsie Rolls were something you could always count on to use for extra leverage. You could add a couple of Tootsie Rolls to a trading deal while still holding back a few for yourself. For the uninitiated, Buzzfeed has come up with The Definitive Guide to Trading Candy. The rules include: Kids aged between 5-7 have a 30 second “trade back” rule, and Dum-Dums lollipops must be traded in complete sets (unless you have 3 or more root-beer Dum-Dums). Click here to view the complete guide. This Guide also points out the unwrapped candy corns are worthless in a trade, which brings me back to the all-powerful Toostie Roll. The Tootsie Roll was the first penny candy to be individually wrapped. This allowed it to beat out its competitor candies, which had to be scooped and weighed to be sold. Today, the Toostie Roll is one of the best selling candies. An Early Form of the Government Contract? The Toostie Roll essentially benefited from a “government contract” before such a thing really existed. While the World War II economy forced many candy companies to halt their production, the Tootsie Roll expanded. Because it was considered as “quick energy” and had an ability to stay fresh for long periods of time, Tootsie Rolls were included in G.I. rations. This helped make the Toostie Roll an American icon. Frederick Arnold, a World War II fighter pilot and author of Doorknob Five Two, carried Tootsie Rolls with him on every mission, rewarding himself with a segment after each completed stage. He credited Toostie Rolls with helping to save his life when his plane was shot down over the Sahara. He was stranded in a stone quarry for three days and sustained his energy with his Tootsie Rolls. Later, a native tribe helped him by sharing their raw dog meat with Arnold and he returned the favor by giving them a Tootsie Roll segment and a cigarette. Click here to read more. Today, just like the Toostie Roll, other companies have benefited from being awarded a government contract. Are you a veteran wanting to own your business? 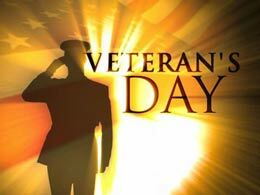 In honor of Veterans’ Day, we have a special Corporation/LLC Formation package that provides the additional materials needed for the Service-Disabled Veteran-Owned Small Business/Veteran-Owned Small Business (SDVOSB/VOSB). Transmutation Agreement included! Contact Me to find out more!